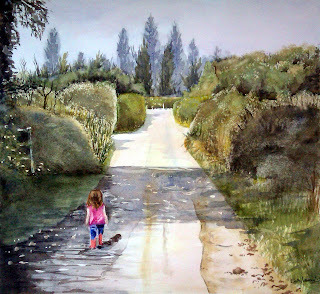 Mixed media art, beginners watercolour, oil and inktense tutorials, demonstrations and tips. Growing my YouTube channel. Christmas is a great time of year to be more adventurous with your artworks and use your imagination. It is good to get away from relying too much on reference photos and think about creating your own compositions and designs. We all know that Reindeer can't fly, so reference photos of flying reindeer may be hard to come by! 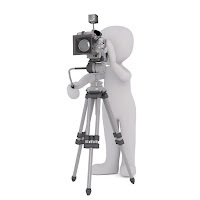 We therefore need to gather reference photos and ideas from varies sources to bring together for our chosen themes. It's a good idea to start by looking in the shops to see what is in fashion for the year. 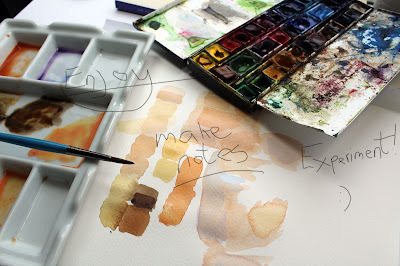 Capturing movement in your artworks with mixed media. These notes were from a handout of a workshop/demonstration I gave at a local art group. I thought they may be of use to beginners who would like to "free up" their drawing and painting. Capturing movement in your artworks. 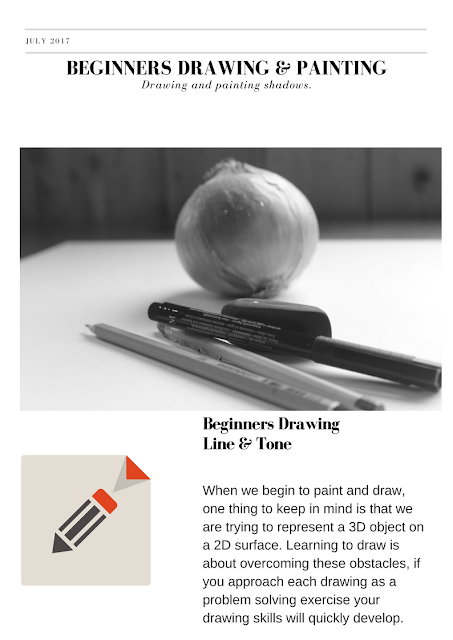 Drawing a still life and observational drawing is essential to build skill and confidence. However, I often hear people saying that they would love to “free up” their drawings and paintings and be able to achieve a more impressionistic or semi-abstract style. Impressionists such as Degas worked to capture a moment in time, in an era where there was no such thing as an instant camera. They used sketches, memory and life models to achieve this. As with Degas, they also used techniques such as having figures half in the frame as if captured by a quick camera snap. Print on Demand websites for your Artwork, Redbubble, Printful & Amazon Merch. About three weeks ago, I was surprised to receive an e.mail from Amazon inviting me to join Merch. Surprised, because it was at least two months since I applied and I had almost forgotten about it. 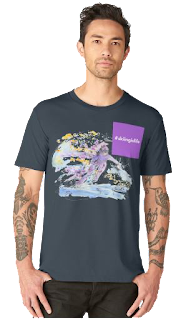 For those of you who are unfamiliar with Amazon Merch, it is a relatively new addition to Amazon, where the Artist / Designer can upload their T-Shirt designs to be sold directly by Amazon and then receive a royalty for all T-Shirts sold. It is by invitation only, so you need to express your interest via their website and then wait. Once accepted you need to upload your first design within 21 days in order for your account to remain active. I have had a Redbubble account selling my artworks on a variety of products for some time. However I haven't used it in the past to it's full potential. Receiving the Amazon Merch invite has spured me on to tidy up my Redbubble products and add new catergories and artworks. 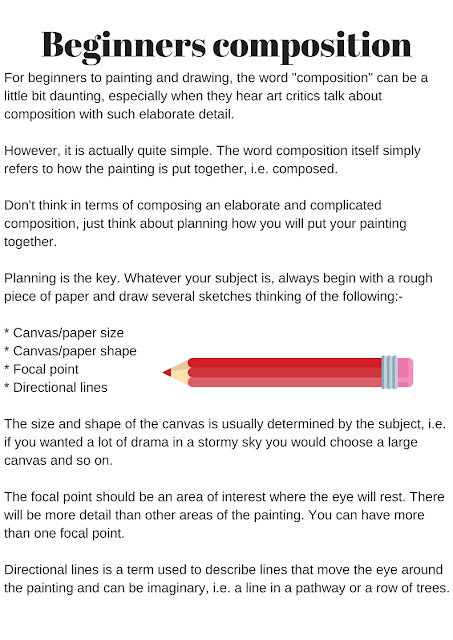 "I came across this worksheet whilst tidying my computer today and thought it may be of use to those of you who are new to painting and drawing. It gives a brief outline of basic colour theory. You may wish to read my earlier blog posts on colour theory and my thoughts on colour and it's subjectivity." Tints & Tones – Tints and Tones are made by adding either White or Black to your colour. i.e. By adding white to red you produce the tint of pink and by adding black you produce the tone of burgundy. When we are learning to draw people, there are several basic rules that we can apply. Although there are exceptions to every rule, we learn tips on proportion that we can use in all our figure drawing. 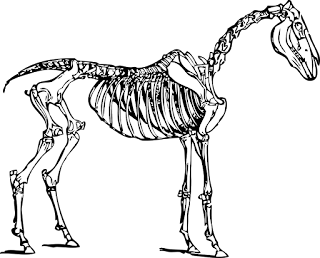 With animals, we can't have these quick tips on drawing their proportions, as all species are so different. The subject is simply too vast. Even within species, the breeds can be completely different. i.e. One rule couldn't apply to both a thoroughbred racehorse and a miniature Shetland! Video to accompany my earlier blog on starting a YouTube channel. Like drawing people and portraits, choosing the right colours for skin tones can be daunting for beginners. However it need not be. 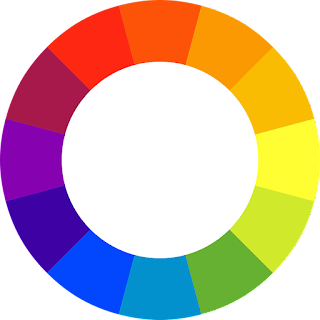 As I have said in previous posts on colour, it is important to develop your own palette of colours as we all see colours differently and have our own favourites. In the YouTube video linked at the end of this post, I go through a few colour combinations to get you started. Build on this by spending some time making your own mixes from the colours you already have and making a colour chart with notes of the colours used. I begin with a mix of Yellow Ochre and a small touch of Permanent Alizarin Crimson, altering the amounts to either more yellow or more pink for different areas. I would advise that you start by having mixes of just two colours, or three at the very most. The other colours used in the video are Raw Umber, Burnt Sienna, Burnt Umber, French Ultramarine, Cobolt Blue, Cadmium Yellow and Cadmium Orange. 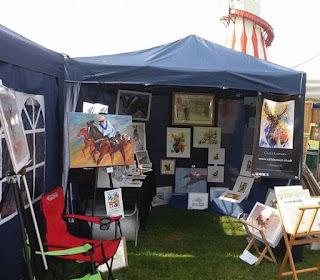 Art fairs and trails,..... hard work but worth it! This week I have been preparing for the Silverdale & Arnside annual Art & Craft Trail. This is one of a handful of fairs, trails, open studios and exhibitions that I enjoy participating in over the Summer months. I often ask myself, is it worth all the hard work ? As those of you who also exhibit in this way will know, it is definitely hard work. Fretting over new work, worrying that everything is priced and presented well, doubting the quality of your work, deciding how much to take and that's before you load the car! Back in October I wrote a blog on starting my YouTube channel and how rewarding I was finding it. Now I have reached over 1000 subscribers and thought it a good time to revisit this topic. 1. Be patient!....having a YouTube channel is not a "get rich quick" scheme, like any other business it takes time to build. Don't be disheartened by slow growth to begin with, keep working on it and set yourself goals for each year. 2. Create content that you enjoy and interests you....this may seem blatantly obvious, but if you aren't 100% engaged in your content, why should viewers be? Tone This refers to the lightness or darkness of something. This could be a shade or how dark or light a colour appears.Tones are created by the way light falls on a 3D object. The parts of the object on which the light is strongest are calledhighlights and the darker areas are called shadows. There will be a range of tones in between the highlights and shadows, these are referred to as mid-tones. Shading is used to capture these different tones in a drawing. It helps to create an illusion of form in a 2D artwork. When shading it's important to think about the direction of the marks you are making as this can help to emphasise the form of the object. ContrastContrast means the amount of difference between the lightest and darkest tones. It should be combined with a range of mid tones. Contrast in tones can help create a dramatic artwork. Trying out Faber Castell Artist Pens for the first time :- I recently bought the pack of 8 Artist PITT pens in black by Faber Castell. I haven't used them before, so thought I would write a quick review of them. When they arrived, I decided to use the XS pen to draw this derelict barn. I enjoyed drawing with this pen, however for size XS, I did expect it to be slightly finer. I will look to see if there is a smaller size. I used the XS for most of this drawing, apart from the shadow inside the barn which was filled in using the soft brush pen. I liked the variety of line achieved with this pen by varying the angle and pressure. In my second picture I used the soft brush pen to draw an acorn and painted in the colour with watercolour. The pens are both waterproof and lightfast with a very high permanence. Using this pen was very much like painting with a brush, I was impressed with the softness and the variety of line from this one pen. "What's not to like about water mixable oil paints?" Water mixable oil paints have become increasingly popular over the last few years since their development. Many people used to working with traditional oils remain sceptical, especially as we learn from an early age that "water and oil don't mix"! However, leaving the chemistry aside, these paints definitely do mix with water. For me, I had two reasons for trying them out. Firstly I have a touch of asthma which I believe was being worsened by the solvents used in traditional oils. Secondly, I invite people into my studio to see my work and didn't like having the permanent smell of solvents around. Now I have been using them for some time, I won't be changing back. As well as no toxins and smells, they are relatively mess free as brushes are so easy to clean. I clean my brushes by rinsing them and then leaving them in baby oil overnight before rinsing them again. Completing your artwork - "Is it finished?" Although I agree with this concept, I do think we need to know when to “abandon” our artworks and call them “finished”. I myself am often guilty of overworking paintings. I can become carried away by the process and don't stand back from my work when I should. This can result in too much detail, loosing the sense of spontaneity and expression. This advice is invaluable, when you think your work is looking good and nearly finished LEAVE it to one side for a day or so. When you go back to it with fresh eyes, you will see it quite differently. You may immediately like what you see and confirm to leave it “finished”, or see an area that needs more work or correction. For my first blog post of 2018, I decided to review the iskn slate 2+. I was very lucky to receive one as a Christmas gift. I would like to begin by saying Happy New Year and wish you good health and happiness for 2018. Now, the reason I wanted to try the Slate, was that I thought it looked a good way to have your sketches saved directly from your paper to the computer. Normally when I want to put a sketch on social media or print it etc. I spend considerable time waiting for good light for photographing my work and then setting the white balance etc. The slate skips all that need for photographing your sketch and has the added benefit of creating a video of your sketch. Of course you can do this by drawing on a touch screen. However, I have never felt at ease drawing on a screen and the slate lets you have that natural feel of sketching with your own pen or pencil. A couple of weeks ago I was tempted to buy a set of Derwent Artbars. The shop display had a fantastic selection of colours and I was also attracted by the description that recommended them for "mark making and texture". I bought the set of 24 and used them for the first time whilst filming for YouTube (linked below). I tried the various techniques of layering, blending, scraping back, drawing and using with water. You will see in the video that I had difficulty blending the colours on the paper initially. I realised that this was because they needed warming up and the more you blended with your finger the easier it became. As someone who always has cold hands, I thought that this was a very labour intensive way of painting! Alternative paint mixes to using black. In my next YouTube video out on Thursday, I talk through why I don't use black paint and the alternatives I mix. I thought it would be useful for you if I wrote those mixes down here. I find that black paint on its own can appear very flat and boring. My first tip if you have black you want to use, would be to add a touch of blue to it. My favourite alternative mixes are French Ultramarine with Burnt Sienna or French Ultramarine with Burnt Umber. You can also use Paynes Grey in many cases where you need a dark colour. Dark Greys can be made from all three primary colours, using different combinations of your available reds, blues and yellows. The colours with this are infinite, if you mix one you really like, don't forget to write it down. Finally, a tip for beginners in painting. Don't be too tentative to use very dark mixes. You need to go dark in places to make your highlights "pop".